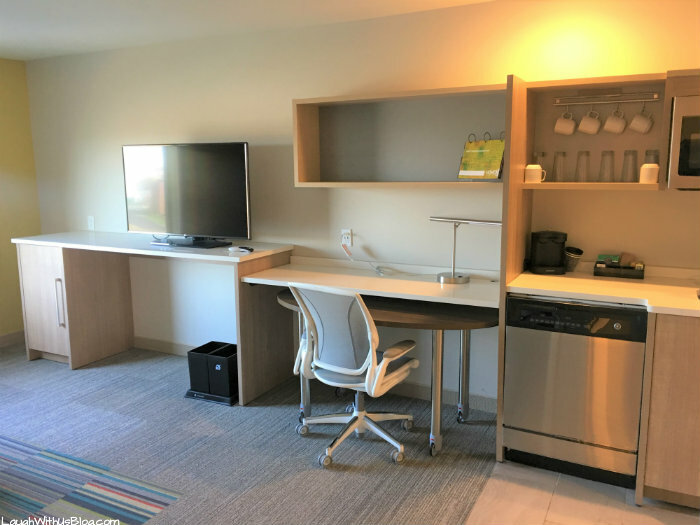 Bright, beautiful, and brand new–Home2 Suites by Hilton in Merrillville is the perfect place to stay in northwest Indiana. 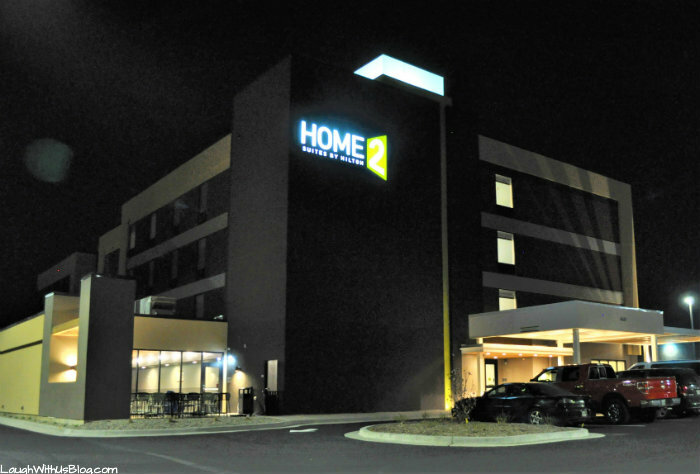 We enjoyed Home2 Suites in Merrillville, Indiana as a part of a familiarization trip with Visit the South Shore. All opinions are my own. 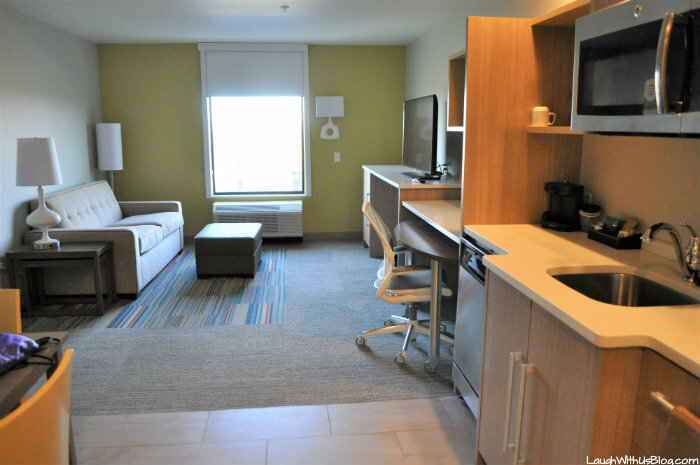 Have you tried Home2 Suites by Hilton in your travels? 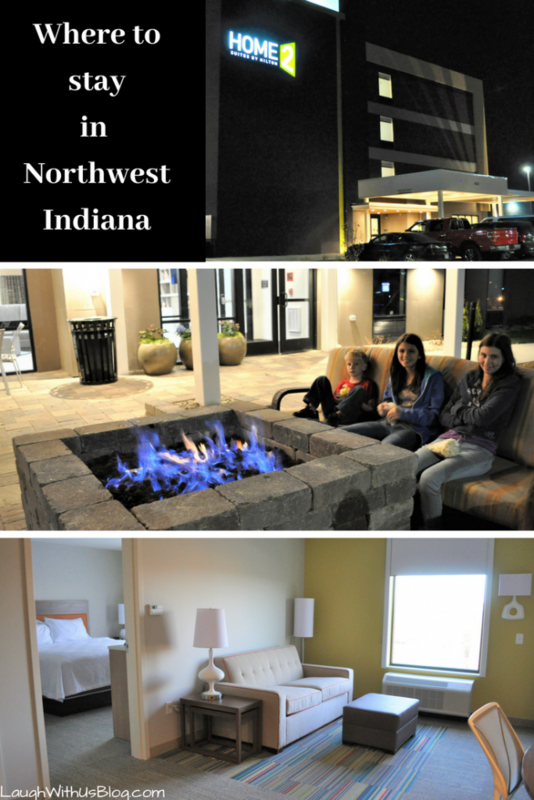 We stayed in four different Home2 Suites on our Great Indiana Road Trip, and we had a great experience every time, but this one in Merrillville was our favorite. 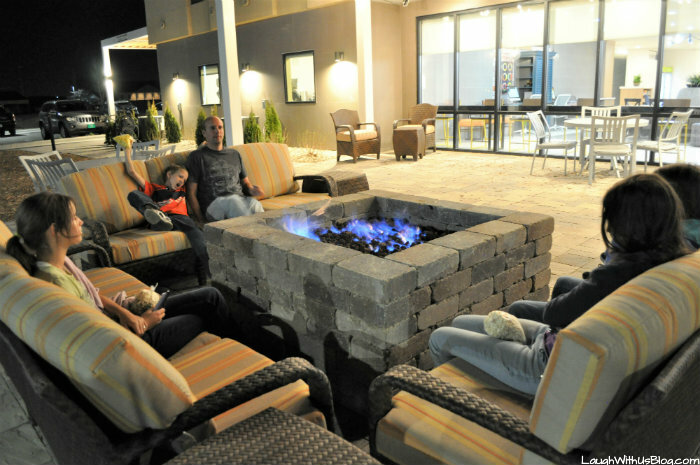 Relax in the evenings around the fire pit. I always find a fire so romantic. 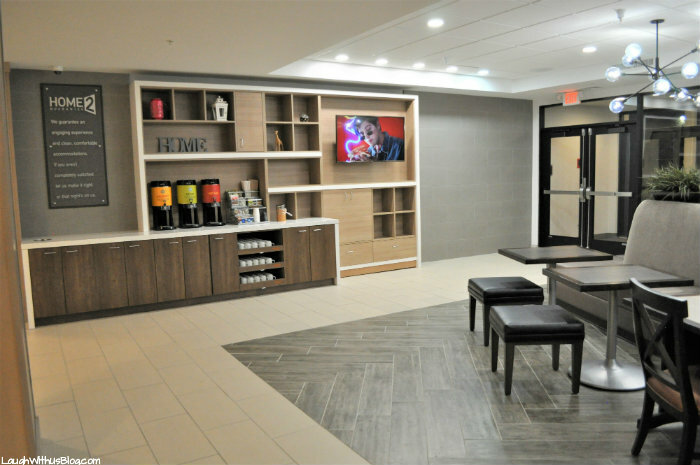 Home2 Suites by Hilton Merrillville is centrally located and near the Star Plaza Theatre, Southlake Mall and close to restaurants. Enjoy a complimentary breakfast–always a hit for family travels! It’s just so convenient to get the kids up in their jammies with promises of Belgian waffles, muffins, cereal, hot chocolate, and pretty much anything they could want. No need to skip your exercise routine! 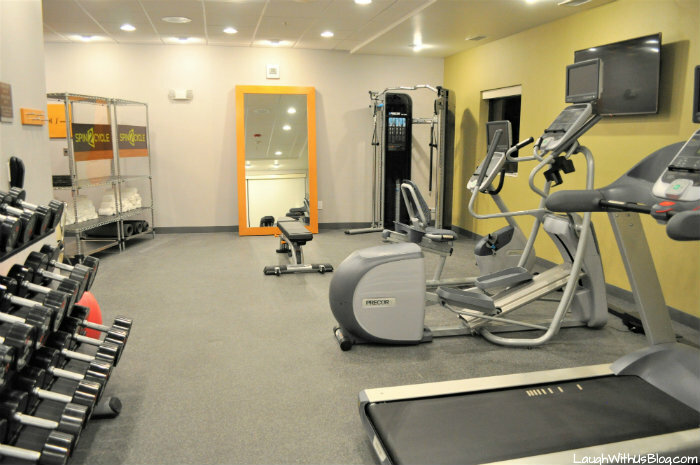 The weight room has everything you need. 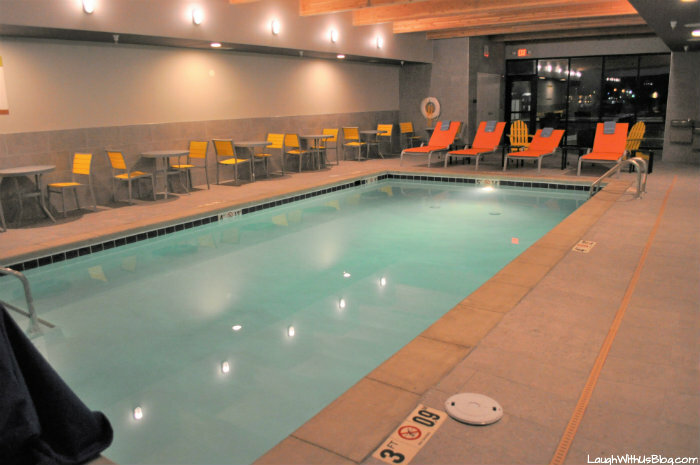 Or take a swim any time of year in the indoor pool. 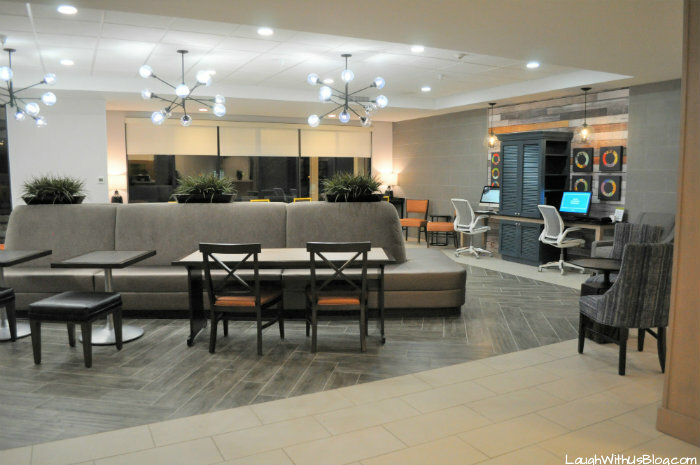 Whether you’re wanting to relax or needing to work, you’ll feel at home at Home2 Suites. Large family? No problem! We loved our one bedroom suite. There is so much room! 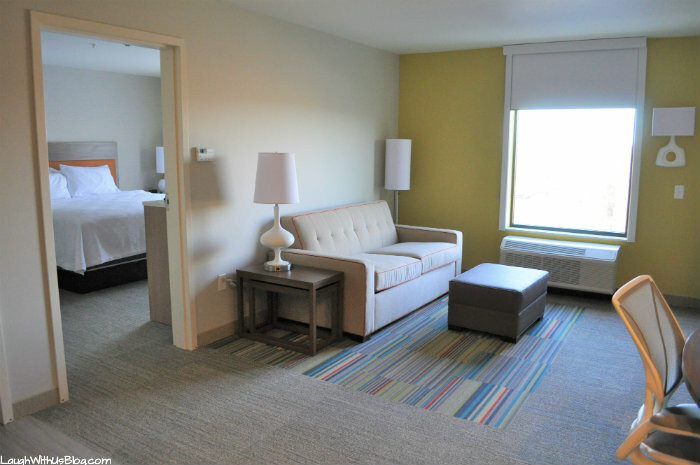 Home2 Suites also offers rooms with two queen beds and a pull out sofa. We never tire of trying new foods when we travel, but I love the convenience of a kitchen in the room when you want it. We always make good use of the fridge if nothing else. 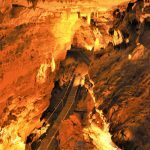 There’s much to enjoy in the area. 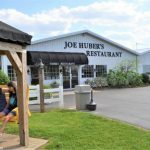 When you’re ready to get out and about try the Albanese Candy Factory, Indiana Dunes State Park, Edge Adventures Aerial Park, and Lake County or even downtown Chicago is just a short drive away. 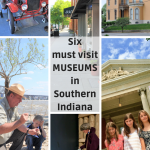 Find more inspiration on your stay in northwest Indiana at Visit the South Shore. What an awesome hotel! I love the outdoor space, and the fitness room is really nice. It is a great hotel, and I love that many of the rooms accommodate more than 4! Wow! THIS PLACE is gorgeous and super clean! I would totally approve!! I’m sure you would, GiGi! It’s great! I had not heard of Hilton’s Home2Suites before now! I mean I have heard of Hilton, just not the Home2Suites. I will have to check them out on my next travels! I’m with ya Joely, before this trip I hadn’t stayed in one before. Gotta get the word out! What a gorgeous place! I am impressed with their attention to the details that make for a comfortable stay. It is beautiful. I agree. Their attention to detail is outstanding! No wonder they call it Home2suites. 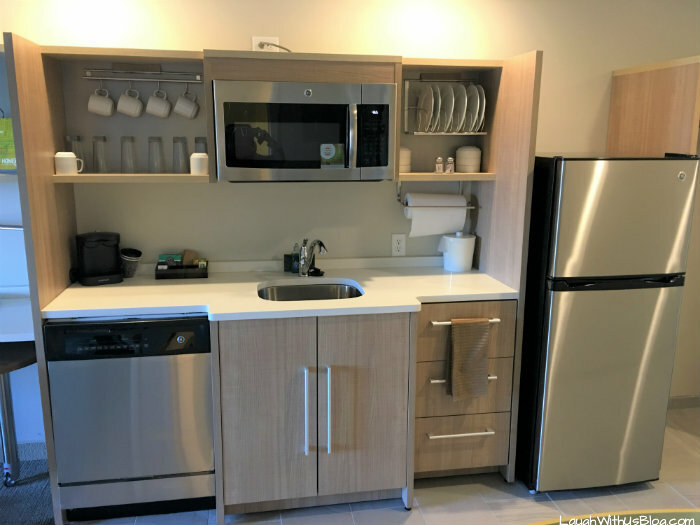 I love the mini-kitchens they have. I love having the option to reheat food or store food or snacks for my boys on road trips. Yes, that’s so true. I hate to waste food! This looks so fancy! You would never think it is in Indiana! I really like staying in the Hiltons. It looks so warm and welcoming there! 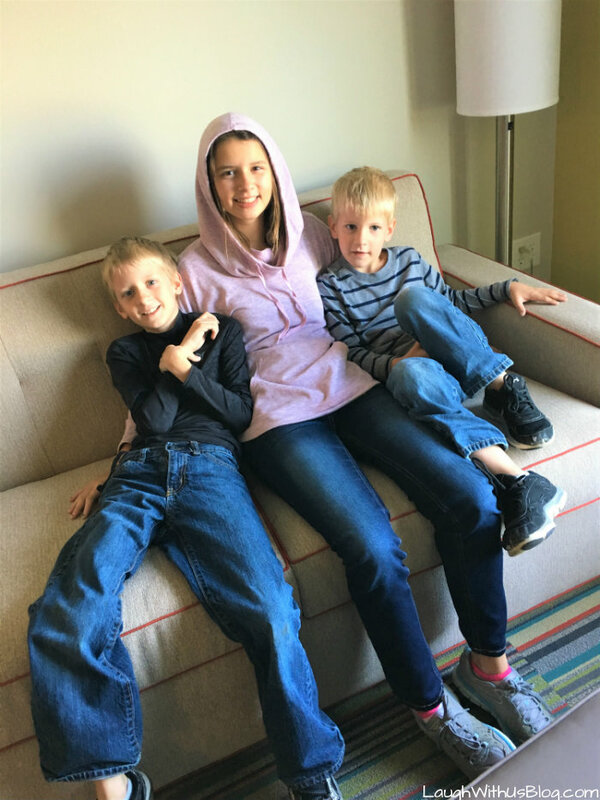 We usually stay at Hiltons when traveling – never had a bad experience! On this trip I had saved lots of points and used them on my app. It was so easy to find a nice place when traveling. This hotel looks so beautiful and have everything my family would need during traveling! The kitchen is a very useful addition to every room! I think you’d love it, Rika! I love that outdoor fireplace and that gym is amazing! I haven’t been to Indiana but if I do go, I know where I am staying! 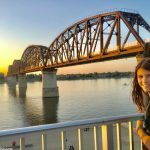 It was my first trip to Indiana, and I sure hope it’s not my last! I haven’t heard of this hotel before, but it looks like a good one for families. 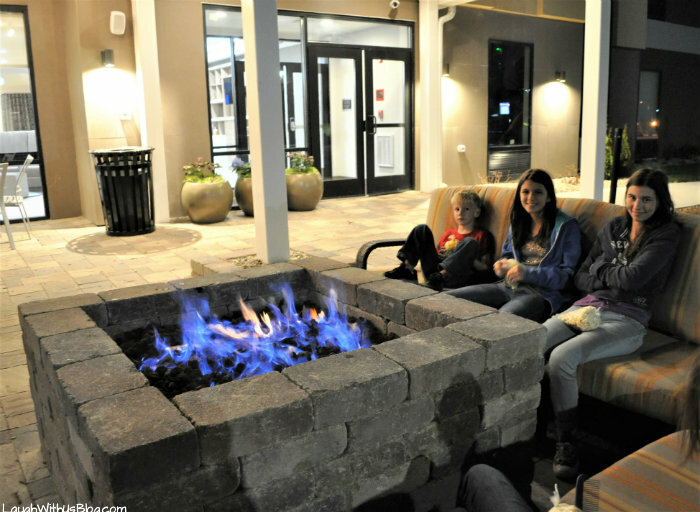 My kids would love sitting around the fire pit at a hotel! This trip was our first time, but we will be looking for it from now on. Yes, the fire pit was super fun. This looks like a great way to travel! We always opt to have an in suite kitchen if possible when we are traveling with our daughters. 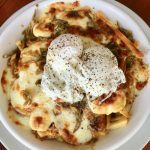 It makes the week so much easier to have the ability to keep leftovers from restaurants and cook in to save on the travel expenses. I have never heard of that brand. I love that it is really like a home away from home; you have everything you need and so much space! 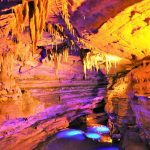 I have never been in that place but it looks like a nice place, it so clean, the ambiance is very welcoming and they have a wonderful amenities in short I like that place and will definitely look for that place when I visit.